Joe R. Lansdale’s Hap & Leonard Now Have Their Own TV Show! We were happy to have one of our best Noir At The Bar events to date a couple weeks back. Joe R. Lansdale read from his latest book, Honky Tonk Samurai, featuring his East Texas ne’er-do-well buddies, Hap & Leonard, and we celebrated the release of a new collection of Hap & Leonard stories, hot off the press. His first book in the series, Savage Season, will be part of a six episode run with an impressive line-up of talent, including Christina Hendricks, Michael Kenneth Williams and James Purfoy. The first episode airs this Wednesday, March 2nd, at 9PM Central on the Sundance Channel. Here’s the teaser trailer, below! Congratulations to our friend, Joe, and if a new novel and a TV show aren’t enough to satisfy your need to read about the exploits of the boys, a collection of all the short stories and novellas, aptly titled Hap & Leonard, has just been released. Recently, NPR’s Steve Inskeep interviewed two of our favorite figures in the mystery world: author and literary critic Megan Abbott, and editor and author Sarah Weinman. In the interview, they discuss the role of women in crime fiction as readers, writers, and characters, and work to solve the mystery of all those thrillers with “girl” in the title. It is a fascinating talk – you can read the highlights, or listen to the full discussion. You’ll also find a list of recommended recent reads from Abbott and Weinman. Sarah Weinman is the editor of the two volume Library of America collection, Women Crime Writers Of The 40s and 50s, a must for crime fiction fans. Volumes are available together or individually. The collection comes with a brilliant set of essays on each classic work, which you can find online. 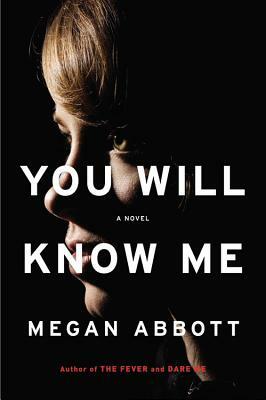 Look for Megan Abbott’s latest novel, You Will Know Me, out this summer. Spinetingler online magazine is a great source for crime fiction reviews, interviews, and fiction. In one of Spinetingler’s latest fiction posts, Debbie Mumford gives us a detective solving a homicide with a talking corpse. “The crime scene investigation I worked today turned sour when the victim spoke to me. My partner, Jack Barnes, and I had been called to a dimly lit alley in downtown Portland. The early morning mist had burned off, leaving the pavement damp. The multi-story brick and mortar buildings on either side huddled close as if protecting the small figure centered in their midst, though she was beyond anyone’s help. Published in 1965, David Ball’s In The Heat Of The Night is not only a well crafted police procedural, but also a sharp reflection of its time. 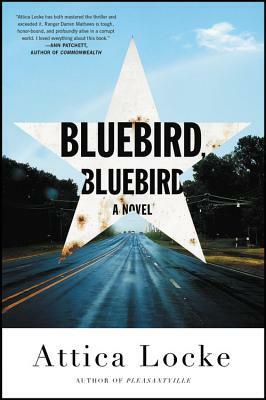 The story of a black police detective forced to solve a murder in a Jim Crow town vibrates with social and political overtones. 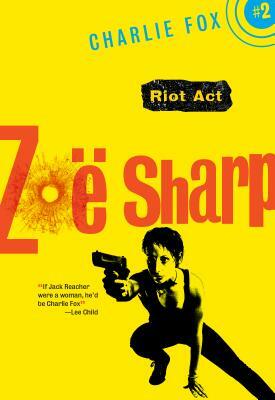 One could argue it is one of the first overt uses of the crime novel as political statement. Even the inciting incident that pulls Virgil Tibbs into the story is political. Set in the fiction town of Wells, South Carolina, the night deputy, Sam Woods discovers the body of a visiting conductor who was heading up the local music festival. Ordered by the new sheriff, Gillespie, to check the train station, Sam finds Tibbs. He arrests the man mainly because he’s black and has over a hundred dollars on him. After the initial embarrassment of learning that Tibbs is a Homicide investigator from Pasadena, California, he is asked to look into the murder. This is mainly done, so if it goes unsolved, the sheriff can blame Tibbs for the murder. We are happy to be hosting Trudy Nan Boyce along with Minerva Koenig for our New Hard-boiled Voices panel this Friday, February 26th, at 7 PM. Miss Boyce’s debut novel, Out Of The Blues, follows newly minted Atlanta homicide detective Sarah Alt (nicknamed Salt) as she stumbles into a cold case that unlocks secrets involving race and city politics. We asked Miss Boyce a few questions about the book and how her dual professions of police officer and psychologist shaped it. MysteryPeople Scott: Atlanta plays like a fascinating character itself. What did you want to explore about the city? Trudy Nan Boyce: Atlanta is my home. I’ve lived here for more than fifty years. I went to undergrad and grad school at the downtown university. I policed the city for more than thirty years. And I’ve lived in my downtown neighborhood for at least thirty years. And I continue to be delighted by Atlanta, its sweet and tragic mysteries seem endless. It is a city without geographic gifts; no bays or oceans, no mountains, no river flows through it. It is a city built at a crossroads, built around the intersections of railroads which were built primarily by black people, slaves and those conscripted though the “justice system.” The more I learn about Atlanta the more I realize that as a white person much of the history and culture of the city has remained segregated. Atlanta is soulful and exemplifies much about the racial divide in the United States. Most white people have no idea about the importance of the blues to our culture. Atlanta was and is a crossroads for the blues and our nation. Celebrity crime and scandal provide an interesting yin and yang. Even for a life led in public, there are things we don’t see in the shadowy edges of the spotlight. The new television show The People Versus O.J. Simpson: American Crime Story layers a previously untold narrative over reported facts in a new version of one of the most over-reported trials. Alison Gaylin deftly explores this contrast between public face and private life, although with very different characters, in What Remains Of Me. The book operates on two time lines. In 1985, troubled teen Kelly Lund is found guilty of shooting director John McFadden at a party in the Hollywood Hills. 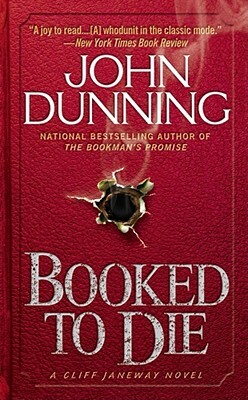 25 years later, and three years after Lund’s release from prison, Kelly once again faces accusation of the murder of a celebrity when Sterling Marshall, Kelly’s famous actor father-in-law, is found floating in the pool, shot in the head. Upon discovery of the murder, eyes quickly turn to Kelly. MysteryPeople (in the corporeal form of Scott Montgomery, Crime Fiction Coordinator, and me, Molly, bookseller) will be joining Hopeton Hay for his radio show, KAZI Book Review, 88.7 FM, on the last Sunday of each month between 12:30-12:45 to talk about our favorite releases for the month. I had so much fun discussing my most anticipated picks for February, I’ve decided to put them up on our blog as well! Below, you’ll find three very different books, each and every one a gem of a crime novel. There’s not much I can say about this one without giving one of Montes’ myriad twists away. I can say that, early in the novel, Montes references the director Michael Haneke and the film Misery, and both of those references become increasingly relevant through this twisted novel. In other words, Perfect Days is the most disturbing novel that I also enjoyed reading since I was first terrified by Kathryn Dunn’s Geek Love. Perfect Days follows a medical student as he develops an obsession with a young wannabe screenwriter named Clarice he briefly meets at a party. When his wheelchair-bound mother and “Gertrude,” the corpse he’s slowly been dissecting for school, fail to satisfy his need for female companionship, the student kidnaps Clarice, stashes her in a suitcase, and takes her across Brazil while attempting to brainwash her into falling in love with him.